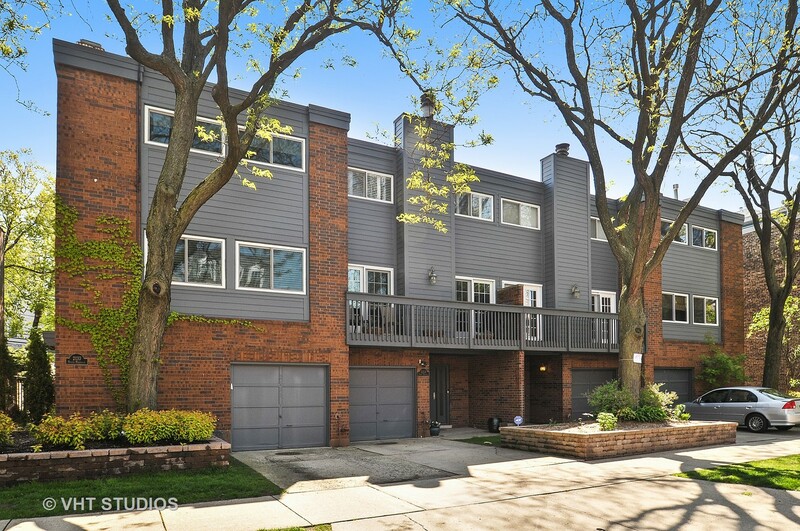 Three level townhome on one of Lincoln Park's premier blocks. Gracious entryway leads to playroom with sliding doors and side patio. Large kitchen with ample storage, white cabinets, and stainless steel appliances. Two sets of doors open to a private patio off the living room. New hardwood floors throughout the main living spaces, fresh carpeting and updated bathrooms with quartz countertops and subway tile. Other recent improvements include custom blinds, new w/d, furnace, AC, water heater and sound proofing. Attached garage space and an exterior parking space included. As one of the largest townhouses in the association, this property lives like a single family home in Lincoln Park's coveted Oscar Mayer school district. Property information last modified by seller on Tuesday, April 09, 2019, 09:52 AM CDT. Information Deemed Reliable But Not Guaranteed. Unauthorized duplication, use, or linkage is prohibited. The information on this web site is for personal, non-commercial use and may not be used for any purpose other than to identify prospective properties consumers may be interested in purchasing. Monthly Payment Calculator results are for illustrative purposes only, not a financing opportunity; calculations assume a 30-year fixed-rate mortgage and do not include closing and other costs. Property Tax on NEW properties is estimated at 1.5% of Listing Price for payment calculation purposes; actual value may be higher or lower.